It might seem obvious to say it but what we used to call television is currently changing at great speed: and its all down to the Internet. With the adoption of fast broadband across Europe, new broadcasting models, particularly ones that go over-the-top (OTT), are being developed and deployed, generally to great success. By bypassing broadcasters completely, content aggregators such as Netflix, Amazon Prime and Hulu - as well as niche movie channels like Mubi or the Berlin Philharmonics Digital Concert Hall - are reaching viewers directly, giving them a far greater choice. This has caused significant disruption to the established broadcast market. As a result broadcasters are modifying the way they distribute and sell their content. And now those same disruptors, particularly Netflix, having changed the way viewers watch television are now having an impact on the way we produce it too. 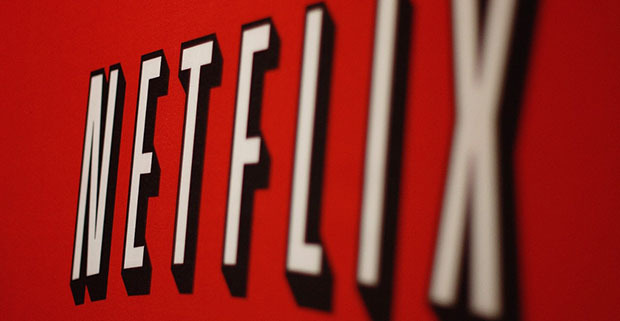 In 2016 Netflix is expected to spend $5bn on content. According to research by Ampere Analysis, this figure is likely to rise by another $1bn in the subsequent two years. Until recently, it devoted the majority of its money (roughly 80%) to licensing pre-made movies and shows with the rest going towards funding, part-funding and commissioning Originals. The latter is how it came to show House of Cards (produced by Media Rights Capital and Trigger Street Productions), Orange is the New Black (Lionsgate Television), and Unbreakable Kimmy Schmidt (Universal Television). The crucial element about these programmes is that they are ONLY available on Netflix. For Netflix, exclusivity is everything. By the end of this year it will have offered somewhere in the region of 320 hours of original content. This is considerably less than a broadcaster such as Channel 4 (3,171 hours) but significantly more than most streaming services. However, there is a problem. As a funder/commissioner, working with independent producers and studios, it can usually only buy the rights for a specific territory and it gives up its exclusive rights after a certain time period (that being how the majority of commission agreements are structured in the age of Terms of Trade etc). And that doesnt fit with the model. In some cases it has tried to negotiate contracts whereby it takes all the rights: first, second and global. But, unsurprisingly, Indies dont like that (even if they do get a big cheque upfront). This might go some way to explaining why Netflix is said to be considering doing more of its production in-house in the future. It has made documentaries and comedy one-offs that way before. And Bloomberg has reported that an upcoming talk show will go the same way. But, according to various reports, they are about to scale up their internal operations further, having signed-up for space in Hollywood that could one day become sound stages. To add fuel to that fire, on an earnings call earlier this year Netflix intimated that by 2020 it wants 50% of its business to revolve around its own original content. Netflix sees original programmes and films as being highly efficient. It calculates that it is cheaper per viewer/subscriber than licensed studio-produced content. In-house content also offer a major distribution upside: Netflix can make it available anywhere in the World and for as long as it likes. It can also maintain quality and consistency across its output for its chosen demographic. But, of course, doing it yourself has inherent risks and costs. You have to find the ideas, pay for development, hire talent, rent kit, find production space/locations, build sets, do deals for post-production and everything else that goes with it. Its definitely not the easy option. Similarly, if Netflix is fast becoming a producer, that would put it in direct competition with some of its suppliers. And it certainly puts it up against HBO in the US. Will it work? Im not well positioned to say. But it is fascinating. Netflix certainly has the cash to run a successful in-house department. But it needs the creative ideas. And those definitely dont grow on trees. It will be interesting to see if other OTT or streamed service providers follow suit too. Either way, the dynamic of television may have just changed again.